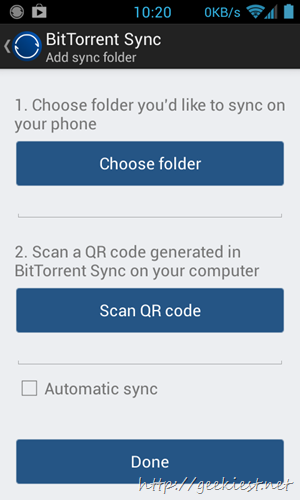 BitTorrent Sync is a utility which will help you to sync files between your devices.It supports Windows, Linux, Mac and Android. You will not need a third party cloud storage. 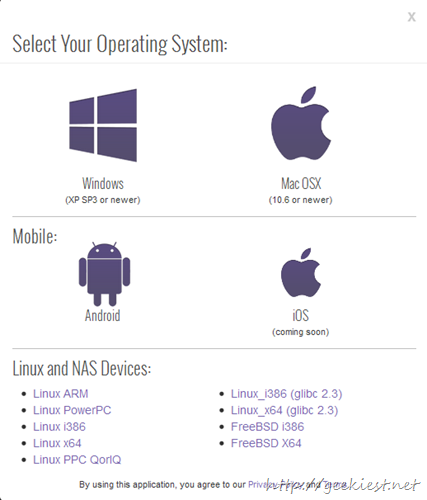 It is really easy to setup too. 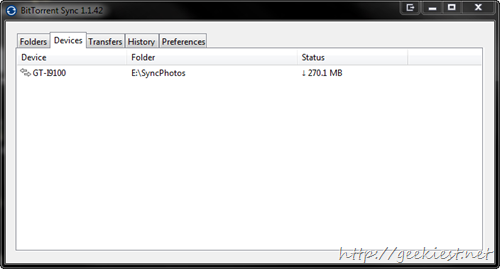 First of all you need to download and install the BitTorrent Sync on the devices you want to use it. 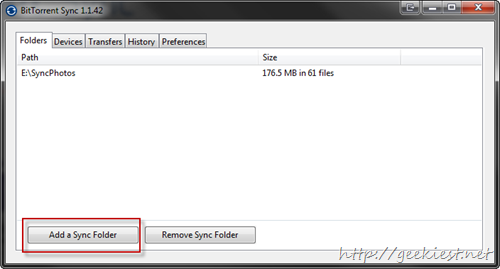 Add a folder which you want to Sync, you can add any number of folders to sync. 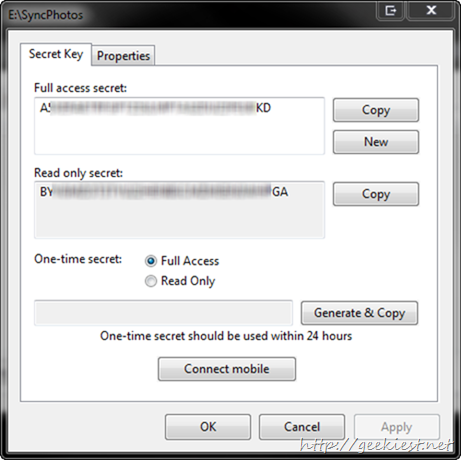 You can get a secret code for each folder, which will be needed to sync with that specific folder. 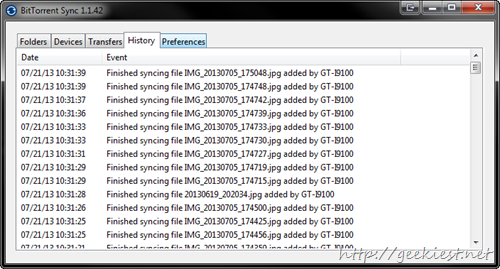 You can share that with your friends or someone else if you want to share the sync folder. Also you have options to generate different secret codes based on the permission. Just right click on a folder to get the folder specific menu..
“Show folder preferences” will show the settings were you can get the secret depending upon the permission level. 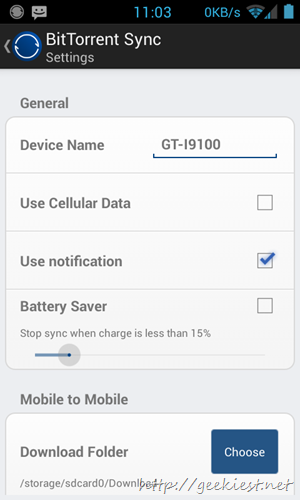 “Connect mobile” (From the settings or right click menu) will display a QR code which you can scan from the mobile application. I tried to sync with screenshot folder of my mobile. Installed the application on my Samsung Galaxy S2 from play store.